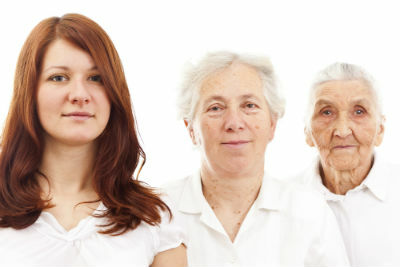 The Pew Research Center recently reported that the world centenarian population is projected to grow eightfold by 2050. This is extraordinary growth. With an estimated 451,000 people around the globe over the age of 100 in 2015, that number is expected to be 3.7 million over the next 34 years. This is a staggering statistic considering that the population over the age of 80 and 90 is also expected to skyrocket. The evidence is everywhere. Assisted Living Centers are popping up in record numbers in nearly every community. The children, grandchildren and great-grandchildren of aging seniors are moving their loved ones closer to home to oversee their care and ease their suffering. This is your advance notice! The likelihood that you and your loved ones will live this long or longer is increasing every day. What will your quality of life would be like when you get there and will you enjoy great quality of life every day along the way? Making healthy lifestyle choices combined with taking action to ensure the health of your spine and nervous system with chiropractic checkups will help you adapt to our ever-changing environment, daily stress and empower you to function at your highest level for a lifetime. Don’t wait for a crisis to force you to take action on your health. Unfortunately, this crisis mentality is responsible for many of the challenges of our aging population. Be proactive! Adjust your lifestyle now and ensure your best life today while also setting yourself up for a healthy future. Your 100 is coming you make the call!